Time To “Leap” Back With Sam, Al and Ziggy. Thank You NBC. – Wait, I Know This! Courtesy of our good friends at the National Broadcasting Company we can go back to the late 80’s and early 90’s to see our favorite classic episodes of Quantum Leap. Ninety three episodes await you! 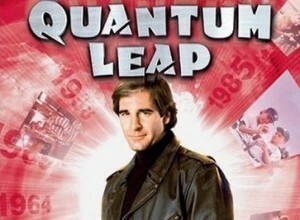 Here is the link to their Quantum Leap page so you can soar through time with our buddies. This was honestly one of the greatest science fiction TV shows of all time. I was a huge fan. I actually had a chance to chat with Dean Stockwell once about the show and was thrilled to hear it straight from his mouth. But we also had an in depth interview with Deborah Pratt who co-produced the show. Check out that interview here.